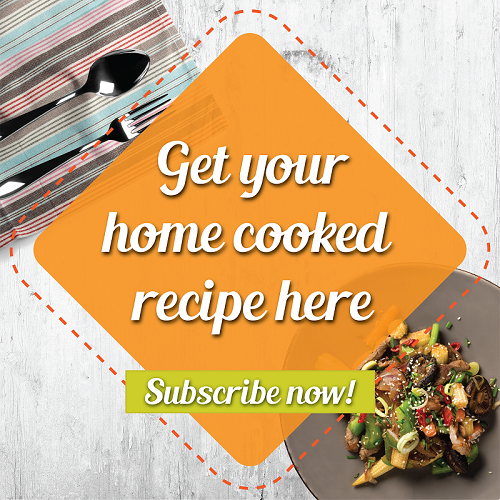 What better way to celebrate this Deepavali than to cook up this delicious super food that's not only tasty but also nutritious. 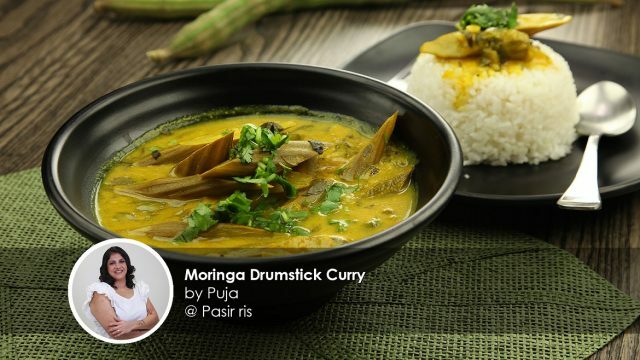 For this festive occasion, home cook Puja, shares with us her very own Moringa Drumstick Curry. When you hear the word "Drumstick", what's the thing that first comes to your mind? That's right, Chicken thigh! That's exactly what we thought when we first came across this recipe. Do you know that Moringa and it's fruit - also known as Drumstick - is a type of super food? Don't be deceived by how it looks. The health benefits that you can get out of this super food will blow you away! #3 Lowers blood sugar levels. #5 Good for pregnant women. This super food is commonly used in soups and curries. 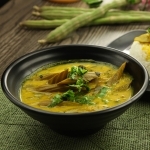 However, Puja has added a twist - by adding Assam, which gives the curry a pleasant sour note that makes it even more tasty and appetizing! 3-4 inch drumsticks cut into 2 to 3long. Rinse thoroughly. 2 tbsp chickpeas flour mixed with 4 tbsp water. Soak tamarind paste in 200ml of warm water. Stir and squeeze the assam pulp. Set aside. In a saucepan, add in drumsticks, sufficient water to cover the drumstick, a pinch of salt and turmeric powder. Cook it on high heat for 8 mins. Cook till the drumsticks are tender, but at the same time remain intact. Do not overcook them. Set aside. In a heated pan with olive oil, add in mustard seeds and cumin seeds. Fry till it splutter. Add in turmeric powder, curry leaves, onions and moringa leaves. Stir fry till the onions turn translucent. Add coriander powder, chilli powder and the tamarind water along with tamarind. 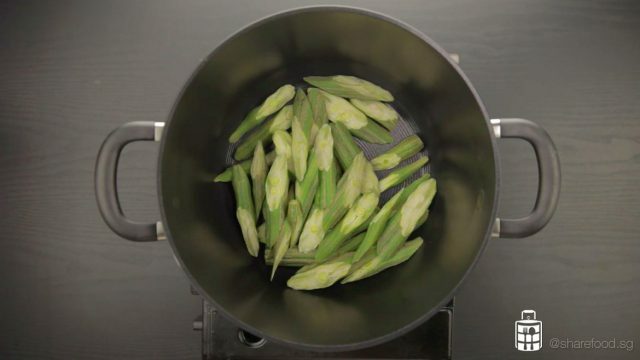 Once it starts boiling, add the drumsticks along with the water and mix gently. Add in the chickpeas-water mixture to the boiling curry. Continue to stir till the curry thickens. Reduce the flame. Add coconut milk, mix it gently and simmer for 2-3 mins. Have a taste and adjust the seasoning accordingly. 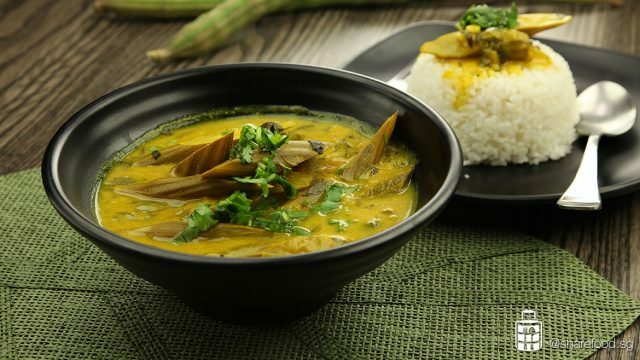 Garnish with coriander and enjoy with a warm bowl of rice. Recipe adapted from Puja @ Pasir RisThinking of what’s cooking next door?